The Annual Brea 8K Classic presented by Brea Mall. This USATF-sanctioned, chip-timed race is fast and fun for all ages and athletes, runners and walkers alike. 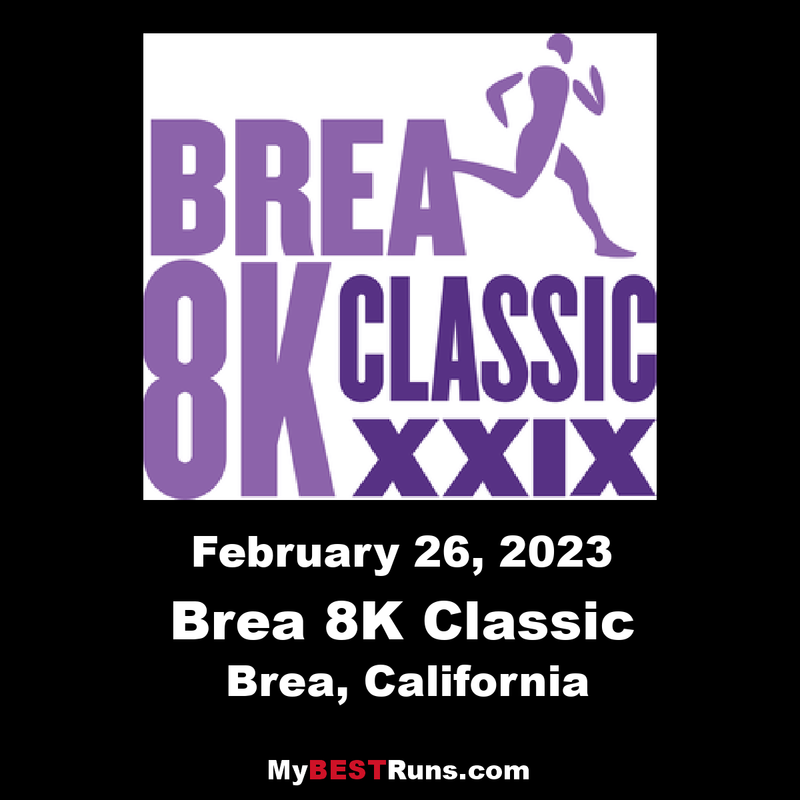 Sanctioned and certified by USA Track and Field, the chip-timed Brea 8K, which equates to 4.97 miles, is run on the streets of Brea with a start and finish at the Brea Mall. Runners are welcome to run with their team. Each team must have at least four members, and at least one must be a female (except in the Grand Masters Division). The five team divisions are: Youth (13 and under), Junior (14-18), Open, Masters (40 and over) and Grand Masters (50 and over, no female required). Brea, Calif., is in Orange County just south of Los Angeles.